Online sales continue to occupy a larger percentage of the retail space. Consumers are attracted to the ease of e-commerce, the diverse product array available online, and inexpensive shipping continue to drive the market. As retailers look to innovate and expand their online business strategy, several trends are emerging. Here’s a closer look at the biggest trends in online sales. According to the U.S. Census Bureau, online sales grew by 3.9 percent in the first quarter of 2018 over the previous quarter, to $123.7 billion. Overall retail sales totaled $1.31 trillion in the quarter, with online accounting for 9.5 percent of the total. The growth in online retail sales continues to outpace overall growth in the sector. The first quarter of 2018 online sales were 16.4 percent greater than the same period a year ago, Overall, retail sales were up 4.5 percent over the previous year. 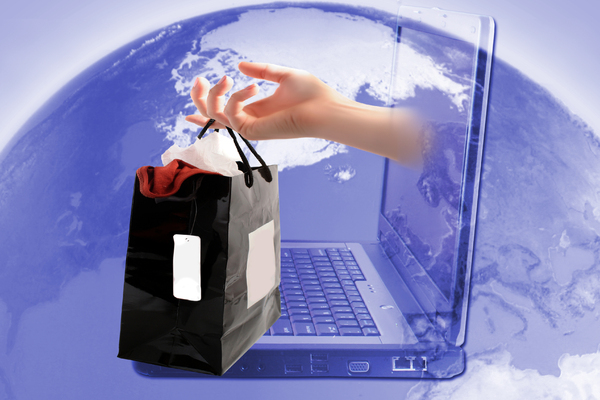 Consumers can take advantage of global online retail options to find the products they need. With customer and consumer demand for online sales growth, there are several trends emerging that are helping retailers respond. Personalization. The modern consumer expects personalized experiences with the brands they use. They expect that interactions online and in person with retailers are grounded in an understanding of the products purchased and used. This same expectation is carried over when consumers call customer service; they expect a full understanding on the part of the company about products purchased and the customers’ needs. This expectation is driven by the ability of retailers today to collect large datasets about consumers and what, when, where, and how they use the products. This information allows retailers to customize personalized marketing and outreach to customers about additional products and services, new features, and opportunities to upgrade. International Reach. Retailers are crossing virtual borders and offering their products in countries outside their own. The key is to ensure that websites provide information in multiple languages and allow for payment across currencies. Shipping calculators need to factor in international postal costs and companies can leverage tools that allow for easy currency conversions, tax collection, and payment processing around the world. Beyond Amazon. The ecommerce giant has dominated online sales of late, but smaller companies can and do sell on Amazon (19 percent of outside vendors earned more than $1 million via Amazon). Other large retailers, like Wal-Mart, now offer vendors the opportunity to sell via the larger website functionality. Chatbots. Automation drives innovation across industries and online retail is no exception. Chatbots, armed with better algorithms, can interact with customers on websites and other social media platforms to help with product selection, customer service, and personalized requests. As some consumers remain skeptical, chatbots are for now better as a supplement to customer service live help, not a replacement. Security. Protecting personal and payment information for customers remains a critical component of any company looking to maintain consumer confidence and market share. No company wants to see itself in technology news articles about data breaches and lost personal information. Two-factor verification, address verification, and biometric device verification are three technologies becoming more prevalent today. For online retailers, the future seems bright. Leveraging technologies to enhance the customer experience and provide better service are likely to be prevalent strategies in 2018 and the years to follow.